Beards are a fickle thing. Some seem to be able to grow one effortlessly and others seem to struggle to get a decent beard to come in. There are many reasons for this and there are a few things that you can try to get the luscious beard that you have always wanted. Unfortunately, genes have a big role in the way that your beard may grow. If your grandfather or father had problems growing a thick beard, then chances are that you may have an uphill battle as well. If you increase your Vitamin C, Vitamin A, and Biotin intake it can help you grow a better beard. These supplements have been known to help grow thicker hair, but they may also help your beard grow as well. Hey, might as well give it a shot. When hair grows it goes through a few stages of growth. First is the anagen stage where your beard will grow the most. This is where your genes kick in and you will find out just how quickly your hair will grow. Next, is the catagen stage when your hair is done growing and just “is” for a few months. Then comes the telogen stage when new hair is born. It typically takes about two to six months to grow a normal beard. Depending on your genes, diet, age, and lifestyle habits, it can take even longer to achieve that full beard that you’re after. If you smoke you can be stunting your beard growth since smoking drastically reduces blood circulation in your body. Depending on how badly you want that full beard, you may have to make some lifestyle changes. Some are just late bloomers and if you are in your twenties your time may just not be up yet to grow that thick manly beard. Be patient and it will eventually grow in fuller and thicker. When you are trying to grow a beard, don’t shave at all (obviously). Don’t try to shape your beard as it grows and don’t try to sculpt it in any way. 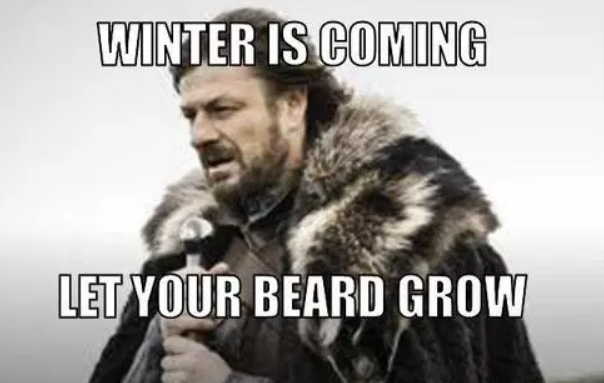 Wait at least four weeks to give your beard hairs the chance to complete their hair growth cycle. You can help your chances of growing a better beard by taking good care of yourself. Exercise regularly, stay relaxed and try to limit your stress since this can stunt hair growth. Eat healthy and get plenty of sleep. Beard oils can also be very beneficial. Beard balms can also be very beneficial to your beard. A natural beard balm will not only help your beard to be healthier, but it will also give you some control over the shape of your beard. Think of beard balm as a kind hair gel for your beard, but with amazing benefits. A good beard balm will moisturize your beard and will in a sense “feed” your beard the nourishment it needs to get growing healthier and faster. If you can’t find any beard oil locally you can always order some online. They even normally come with a whole line of products for your beard such as special beard combs and wax, so you can have fun styling your beard as it grows. Beard oil will also help with itchiness and will make your beard more manageable and healthy-looking. As your beard gets longer, you will find that you will need to apply more of the product. There are even special shampoos and conditioners for your beard that are worth investing in. They will make your beard smell amazing and will help to grow faster and thicker. Growing a beard can be quite a process but in the end is very rewarding. Once you get it to the shape and length that you want, all you need to do is maintain it and have fun shaping and sculpting it. Be patient as it can take a long time to get there.